This double room is located on the second floor. It provides a back-facing view, and is en suite. 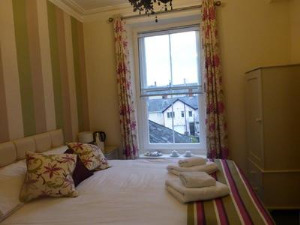 Harry's is located in the heart of Aberystwyth, and is perfect for visiting the beaches, and the University.